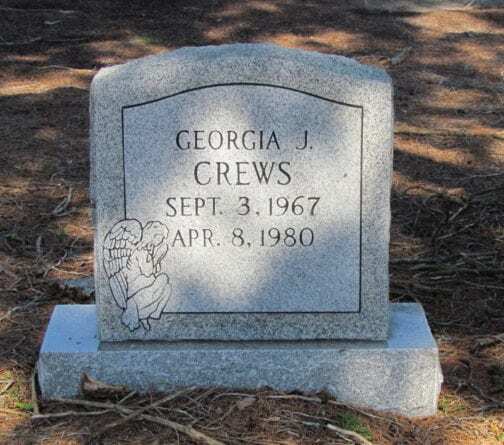 Home » Morbidology » Who Killed Georgia Crews? Montverde, Florida, is a small tight-knit community approximately 36 miles west from the booming city of Orlando. During the 80s, the minuscule town boasted of having around just 400 residents. It was common place for residents to leave their doors unlocked at night without qualms. Everybody knew their neighbours and felt safe. The town is bordered by Lake Apopka on one side and on the other, thriving citrus groves. Unfortunately, however, in 1980 this lakeside town just off the Florida panhandle was the scene of a murder that would leave the residents more than unsettled. One resident of Montverde was 12-year-old Georgia Crews. Georgia was a student at Minneola Elementary School who lived in Highlands Avenue with her mother, Linda, her father, Mike, and her two older brothers, 15-year-old Charles and 16-year-old Tony. The fifth-grader had baby-blonde hair and brown eyes. She absolutely adored her bulldog, Tiger, and had a penchant for Kenny Rogers. Her favourite snack was Rice Krispies and in her free time, she designed and even sewed her own clothes. 1 At the weekend, she would go to Sunday school at the local United Methodist Church. On the afternoon of the 8th of April, 1980, Georgia’s parents left the family home to go fishing for catfish on Lake Florence with Charles. This was a common occurrence in the Crews household; Mike worked as a commercial fisherman and Lake Florence was literally a stone’s throw from their front door. This day, however, Georgia and Tony both decided to at home. At some time between 5:30PM and 6PM that evening, Georgia and Tiger left home to go to the Stop & Go on Country Road 455 where her mother worked. 2 Stop & Go, which was approximately a mile from Georgia’s home, was the only convenience store in the town. Dusk was fast approaching and Georgia was “mortally afraid of the dark” so she wouldn’t be long, she assured her brother. 3She was wearing a jeans, a tank top, and was barefoot – one of her many quirks. She had wanted to purchase snacks before settling down at her friend’s house to Kenny Rogers in The Gambler. Georgia never made it to her friend’s house. In fact, she never even made it to the convenience store. When Georgia didn’t arrive home within an hour, Tony rushed around the neighbourhood calling out her name. Outside, Tiger sat at the crossroad just down the street from their home, refusing to move. When Linda and Mike returned home to find a frantic Tony exclaiming that Georgia hadn’t come home from the shop, they called police. By midnight, a search was already underway. Shoulder to shoulder, the search party, assisted by Georgia’s family, trudged through the woodland and through the orange groves. Lake Florence near the family home was dragged but to no avail. Investigators called in a bloodhound named “Lt. Bo” who was sent through the surrounding swampland in search of a scent. A search helicopter was sent into the sky for a bird’s eye view. There was no sign of Georgia other than a trail of child-sized footprints in the dusty roadway leading from her home. With a then-population of just 397, the concerned community rallied together in a desperate attempt to bring Georgia home safely. Almost half of the entire population got involved in the investigation, whether by handing out flyers or physically searching the area. Nobody saw Georgia accompanied by anybody else nor did anybody witness her being forced into a car. Understandably, though, her family couldn’t help but think the worse. It wasn’t like Georgia to just wander off and not return home. Unfortunately, as her parents would soon discover, Georgia would never be returning home. 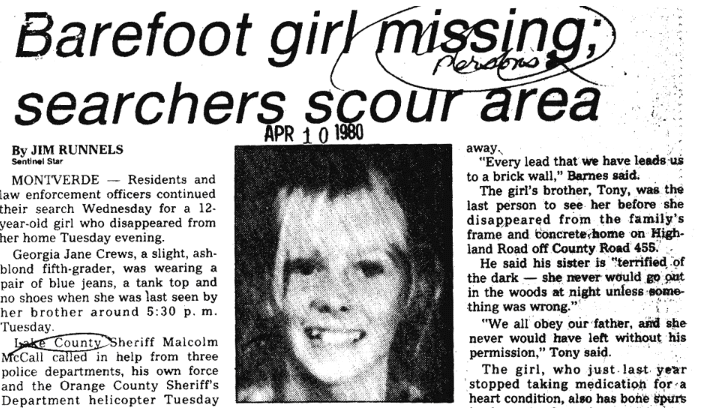 Just two shorts days after Georgia’s disappearance, her parents received this chilling phone call. Georgia’s grandmother and the town police marshal’s wife also received similar phone calls. The phone calls were never able to be traced and have since been lost. The family would soon discover the grim phone calls were not a joke: Georgia really was dead. On the 16th of April, a family of four were taking a short cut from an apartment complex to a K-Mart near Casselberry, which was approximately 30 miles away from where Georgia disappeared. Along this route, they couldn’t help but notice a pungent smell emanating in the warm spring air. As they inspected where the smell was wafting from, they stumbled across an unimaginable scene. Discarded among the slight woodland and weeds, they discovered the deceased body of Georgia. She was found face up, with one leg bent at the knee. Her body was so decomposed that she needed to be identified by medical and dental records. Her family never had to identify her. The bubbly fifth-grader had been stabbed once in the back. An autopsy concluded that she hadn’t been sexually assaulted. Georgia’s parents first heard about the discovery of the body from a friend who had been watching the news. That evening when police knocked on the door, they already knew what they were there to tell them. The shocking murder rocked the small community. 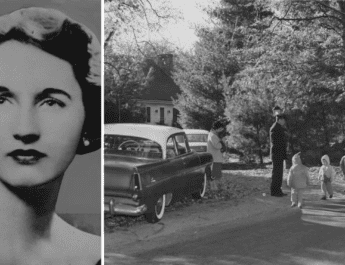 Was a sadistic child killer lurking amongst the townsfolk? “People were scared,” said Jim Manna, the town marshal and only police officer the town had. “The general consensus was that it was done by somebody local, and he was still in town.” Did Georgia accept a ride from a local? This belief was solidified by the fact that there were no signs of a struggle where her footprints ended along the dusty roadway just a short distance from her home. Georgia’s family thought back to Tiger’s reluctance to move from the nearby crossroad. His confession was later declared as inconsistent with findings at the crime scene and Lara was ruled out as a subject in 1980 and again in 1994. “In reviewing the transcribed confession of Albert Lara, there were numerous facts given that were in direct conflict with what the investigators discovered at the crime scene and subsequent autopsies,” said Gordon Oldham, state attorney at the time. 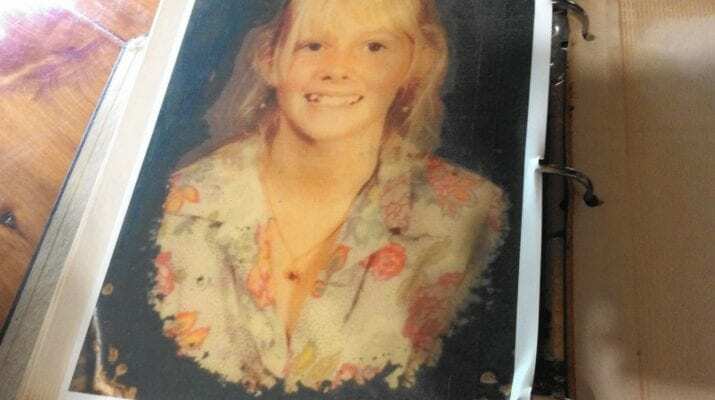 Lara was prone to false confessions and was said to confess to murders and other violent crimes countrywide that police could just not substantiate. Jim Manna theorised that Lana had confessed to the murder in the hopes that he would be transferred from the crumbling Iowa prison he was incarcerated in to a Florida prison. For a number of years, the case remained cold and no new suspects were brought to the table. 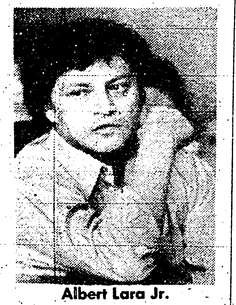 In 2013, however, 32 years after the murder, Georgia was back in the media when investigators announced that they finally had a new lead. 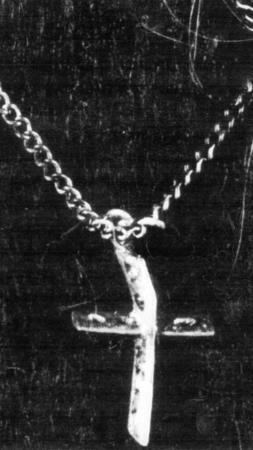 Investigators had been reviewing the case when they came across a photograph of a cross necklace that Georgia was wearing when her body was discovered. 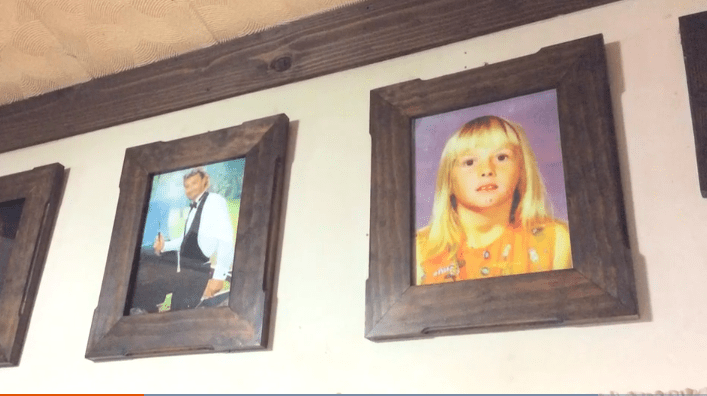 At the time of the initial investigation, a family friend of the Crews family told investigators that the necklace belonged to Georgia. Upon re-investigation, however, Georgia’s family contended that the necklace didn’t belong to Georgia; she often wore a small gold pendant that her grandmother had purchased her for Christmas. This necklace appeared to be a handmade from motorcycle parts. Linda believes that this necklace is key in identifying Georgia’s killer. 17 years have passed and the murder of Georgia still remains unsolved. Investigators investigated dozens of people over the years yet not one person saw anything amiss. In a town of approximately 400 people, that in itself is quite unusual. One would assume that if there were an outside vehicle or a new face in their quaint town then surely somebody would notice. This has led some to believe that the murder was perpetrated by one of their own. 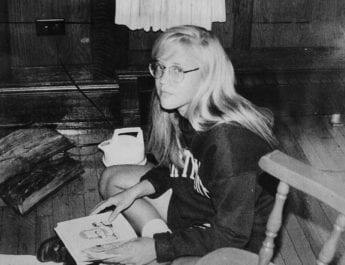 Was there a child killer in their midst that was a friendly face to Georgia? “Someone saw something about this little girl. 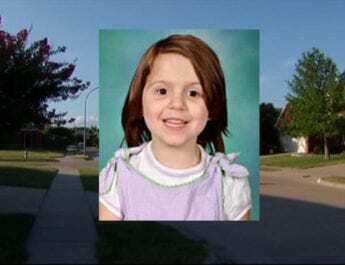 Somebody knows what happened to this little girl,” said Detective Robert Jaymes. If you have information on this case, please contact the Seminole County Sheriff’s Office by clicking here. If you would like to remain anonymous, you can do so through the Crimeline: 1-800-423-TIPS. Montverde is no where near the pan handle of Florida.. It’s halfway down the state on the Atlantic Ocean side. Strange way to describe its location. My son lives on the other side of Apopka lake and it takes him 3 hours to get to the pan handle to visit family. The necklace looks like something a teenager would make at school… I wonder if the killer had planned on assaulting her and she tried to get away and they panicked killing her? Poor girl. This is a really strange case because what motivation would there be to just stab a little girl? Could the killer have been another child I wonder? The senseless killing of another child…and yet no justice!? It makes me sick. Apparently they needed some better investigators on this case. Poor girl…just imagine what was going thru her innocent head at the time. Sad…im sure her brother still feels guilty when he thinks about her everyday.